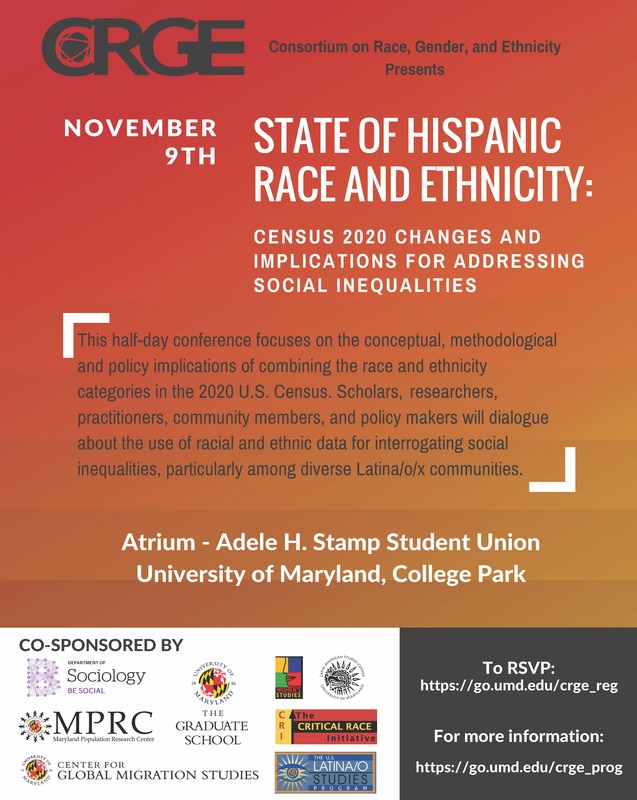 This half-day conference focuses on the conceptual, methodological and policy implications of combining the race and ethnicity categories in the 2020 U.S. Census. Scholars, researchers, practitioners, community members, and policy makers will dialogue about the use of racial and ethnic data for interrogating social inequalities, particularly among diverse Latina/o/x communities. The goal is to convene scholars,  researchers, practitioners, community members and policy makers to engage in a conversation about the long-term civil rights consequences of race, and ethnic measurements and its impact on the future of social inclusion policy in the U.S.  A guiding premise of the conversation is that the collection of demographic data on race, gender, class, ethnicity and other axes of stratification is primarily for civil rights use. A stellar group of speakers has been garnered. Co-sponsors include: Center for Global Migration, Critical Race Initiative, Latin American Studies Center, Department of Sociology, Department of Women's Studies, Maryland Population Research Center, The Graduate School's Office of Graduate Diversity and Inclusion, and US Latino Studies Program.